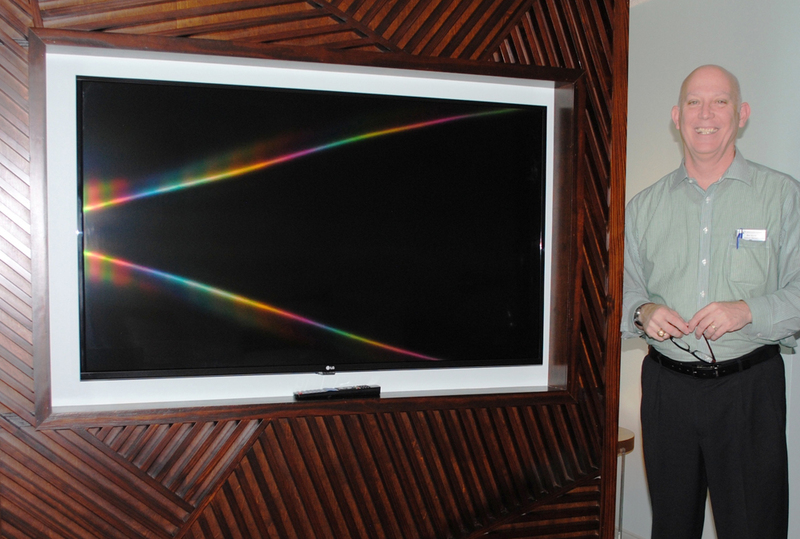 General Manager Roy Green shows off new 55-inch TV. One of the Bay Area’s most majestic attractions – South Shore Harbour Resort and Conference Center — is getting a makeover. The landmark hotel overlooking Clear Lake opened in 1988 and was beginning to show signs of age, so General Manager Roy Green and the owners determined it was time for a facelift. Penthouse suites wearing elegant new look. The two penthouse hospitality suites, known as the Harbour Suite and the Captains Suite, feature state-of-the-art renovations including new paint and furnishings, king-size beds, extra adjoining bedrooms as needed, custom wall art, hospitality parlors with wet bars for entertaining, 55-inch TVs, plus bathrooms featuring both a spa and a free standing shower. Both penthouses and their beautiful views of Clear Lake have become favorites of company CEOs for entertaining up to 50 guests, not to mention the famous people who have stayed there in the past such as Tom Hanks, Clint Eastwood, Alan Alda and Sen. John Glenn. 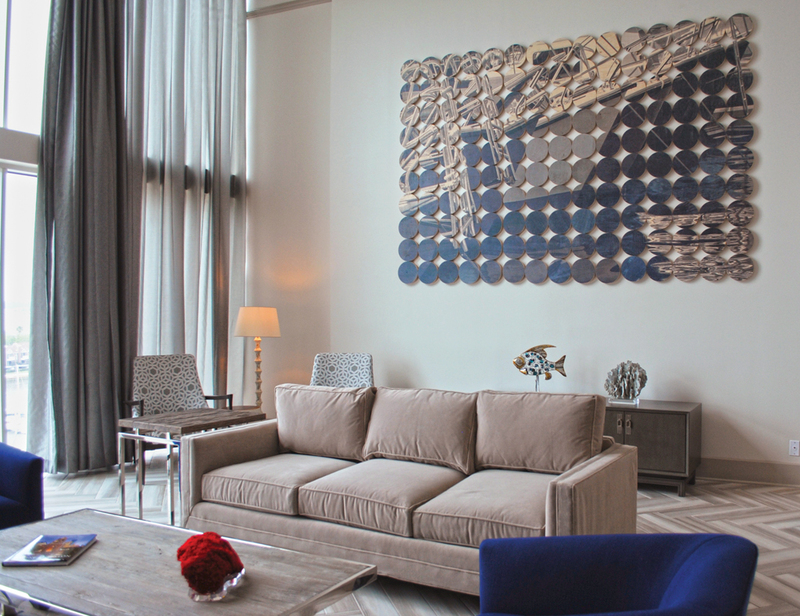 The award-winning designers, Flick-Mars of Dallas, used an overall sophisticated nautical theme, bringing the outside in with touches of driftwood-like décor for the multi-million-dollar renovation. The popular Crystal Ballroom, which has played host to many Bay Area extravaganzas over the years, was completely redone as was the Paradise Reef restaurant, which has new furniture and carpet for the breakfast and brunch crowd to enjoy, along with new menus at each venue. All rooms getting a facelift. 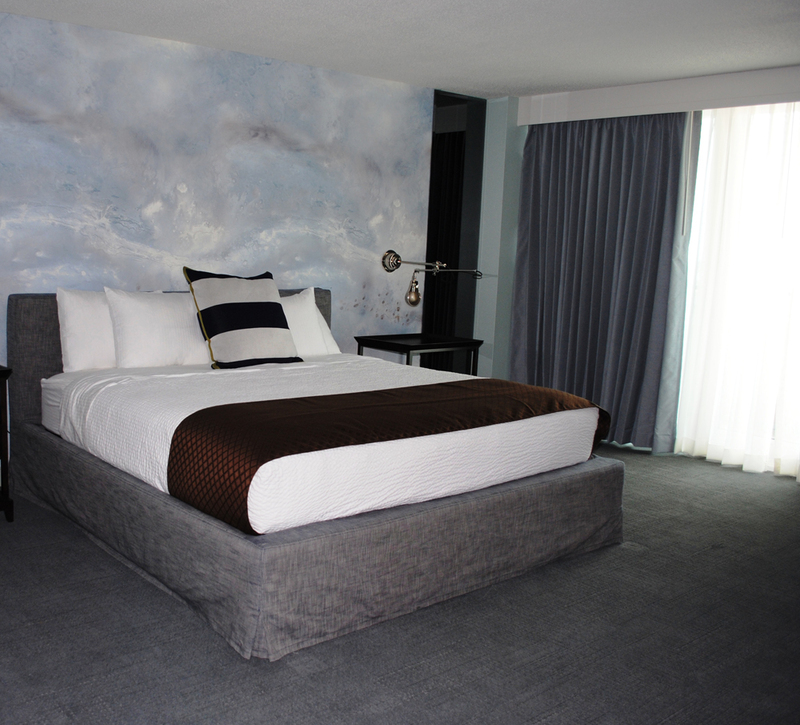 All the guest rooms also have been remodeled and feature 43-inch TVs along with new carpet and furnishings. Even the tropical swimming pool and outdoor bar, newly named the Oasis, are being remodeled. And that’s not all. The hotel lobby is getting an all new look, and the lobby bar is being turned into the Lighthouse Bar and Bistro, offering dinner both weekdays and weekends. 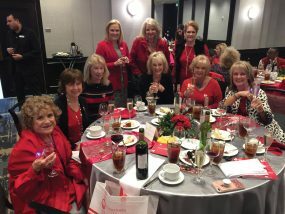 As one onlooker put it, “the Jewel of the Bay has been turned into the Diamond of the Bay.” The hotel is owned by the American National Insurance Co. and managed by 1859 Historic Hotels Inc.